Who invented Hip Hop? The name of the person credited with inspiring Hip Hop music, also called "rap" music, is DJ Kool Herc (1955 - Present). DJ Kool Herc (real name Clive Campbell) is not only famous as the Jamaican-American inventor of Hip Hop but also as a Jamaican-American deejay often referred to as the "Father of Hip Hop". When was Hip Hop invented? DJ Kool Herc was a prime innovator of developing the style that evolved into Hip Hop music c. 1970, during the Technology and Information Age of inventions using new turntable techniques such as scratching and beatmatching. Definition of Hip Hop: Hip Hop is defined as a style of 1970s African-American music, that originated in the Bronx area of New York, with rhyming lyrics typically based on rap and often including elements of other styles such as rhythm and blues and funk. Definition of Hip Hop: The term Hip hop is also used to describe a cultural movement that sparked graffiti art as well as a music genre that bound together components of hip-hop including breakdancing, rapping, MCing and deejaying. Fact 1: Who invented Hip Hop? Hip Hop music was inspired by DJ Kool Herc c. 1970 during the Technology and Information Age of inventions. Fact 2: Who invented Hip Hop? Prior to the invention of Hip Hop c. 1970, there was Soul music that evolved into Funk. R&B (Rhythm and blues) was another popular genre of African-American music as was Jamaican music forms, such as Ska and Reggae. Fact 3: Who invented Hip Hop? The tradition of toasting (or deejaying in Jamaican terms), a cross between talking and rhythmic chanting, contributed to the vocal origins of Hip Hop and Rap. Fact 4: Who invented Hip Hop? The first DJ of hip hop, DJ Kool Herc, was inspired by the Jamaican tradition of toasting which led to the development of the music genre known as Hip Hop or Rap. Fact 5: Who invented Hip Hop? The man who inspired Hip Hop, DJ Kool Herc, was born Clive Campbell on April 16, 1955 in Kingston, Jamaica. Fact 6: Who invented Hip Hop? The early years of Clive Campbell were spent in Kingston, Jamaica where he was raised by his family who immigrated to the United States in 1967 when he was 12 years old. DJ Kool Herc was educated at Alfred E. Smith Career and Technical Education High School in the Bronx. Fact 7: Who invented Hip Hop? He was a popular student and his muscular physique earned him the name 'Hercules', which became shortened to his nickname "Herc". He loved music and was influenced by his Jamaican heritage together with Black American soul and funk music and built up a collection of vinyl records. Fact 8: Who invented Hip Hop? His father father brought a new PA system but did not know how to hook it up. Herc took over and then started using new technology to produce new sound systems creating different sounds. Fact 9: Who invented Hip Hop? Herc began to throw parties at his home in Sedgwick Avenue in the building's rec room, and started charging 25 cents entrance fee. He became known as DJ Kool Herc. Fact 9: Who invented Hip Hop? Herc started experimenting with sounds and began mixing R&B, soul and funk music with elements of reggae and ska to create a new type of music. Due to popularity of 'Hip Hop' DJ Kool Herc then began deejaying at clubs and parks. Fact 10: Who invented Hip Hop? Herc extended the instrumental sections, or 'breaks', by mixing between two identical copies of the same record on different turntables - this became known as breakbeat. 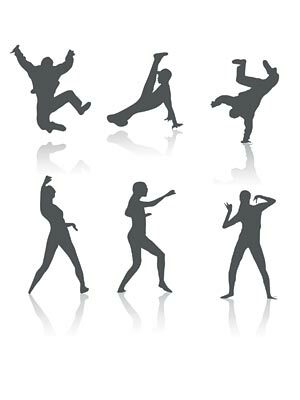 During the breaks a new energetic type of dance emerged called "Break Dancing". Fact 11: Who invented Hip Hop? Break Dancing was completely different incorporating an acrobatic element with headstands, tumbling, jumping, hopping and spinning. Many of the wild, improvised movements involved drops to the ground and the athletic kids who performed Break Dancing were called b-boys or b-girls. Fact 12: Who invented Hip Hop? As DJ Kool Herc concentrated on producing the music he began to pass his microphone to friends in the crowd who joined in with improvised spoken or chanted lyrics which became known as rapping. Fact 13: Who invented Hip Hop? As the popularity of Hip Hop music grew DJ Kool Herc concentrated on his turntables and passed the increasing role of emceeing to his friend Coke la Rock, who became known as the first hip-hop emcee. Fact 14: Who invented Hip Hop? The sound systems grew increasingly louder and the popularity of Hip Hop increased still further and began attracting the attention of the media. The role of the emcee and deejay became nearly as important as the music itself and other deejays such as Afrika Bambaataa and Grandmaster Flash appeared on the Hip Hop scene. Fact 15: Who invented Hip Hop? DJ Kool Herc reached his peak as the top Hip Hop deejay in 1975 but after this time competing deejays began to take the lead in the Hip Hop culture. Fact 16: Who invented Hip Hop? In 1977, DJ Kool Herc was stabbed three times at one of his own events and was forced to leave the Hi Hop scene as he recovered from his wounds. At the same time he was struggling with drug addiction and DJ Kool Herc began to fall into obscurity. Fact 17: Who invented Hip Hop? Unlike his competitors he did not commercialize his success nor did he make much money. By 1978 the music industry heavily promoted "rap music" and at the same time shifted its focus toward emcees. In 1979 the first rap hit by Sugarhill Gang’s called "Rapper's Delight" reaching number 36 on the Billboard charts. Fact 18: Who invented Hip Hop? Hip Hop had reached the mainstream and in 1984 Michael Jackson caused a sensation when performed a b-boy popping movement called 'the moonwalk' to his "Billie Jean" at the Motown 25th Anniversary special. Fact 20: Who invented Hip Hop? In the 1990's DJ Kool Herc began collaborating with Hip Hop artists and made guest appearances with Terminator X and The Chemical Brothers and in 2008 with Stanley Robinson the hip hop recording artist known as Substantial. Fact 21: Who invented Hip Hop? Hip Hop music saw the rise of many artists who achieved world wide fame including Dr. Dre, Queen Latifah, Jay-Z, Snoop Dogg, Missy Elliott, Puff Daddy, Kanye West, Beyonce and Eminem. Who Invented Hip Hop - DJ Kool Herc - Inventor - Invention - Definition - Meaning - Famous - Important - History - Timeline - Innovation - Significant - Development - Recreation - First - Definition - Kids - Facts - Information - Info - Who invented Hip Hop - Dates - When - Why - Impact - Purpose - Use - New - Old - Amazing - Best - Definition - Meaning - Awesome - Cool - Technology and Information Age - Jamaican-American - History - Timeline - Who Invented Hip Hop?